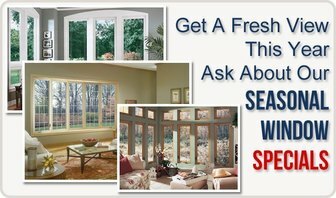 Westport Ct Window Replacement is just one of Heritage Home Improvements specialized services.Whether you are looking for a dramatic update, or a simple refresh, let our Westport Ct Replacement Window Remodelers help with your Replacement Window Ideas. 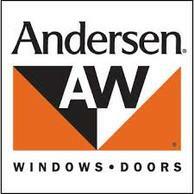 From design to a quality complete Westport Ct Replacement Window Remodeling project. Because every home is different we will give you a personalized proposal, and answers to specific questions you may have about Replacement Windows. 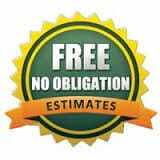 You will receive an accurate low pressure assessment of what your Window Replacement project will cost. We look forward to providing you with all the information you need so you can make an informed decision. 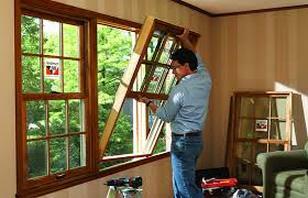 Call Heritage Home Improvements at (203)-689-5148 soon to get your Replacement Window project started. 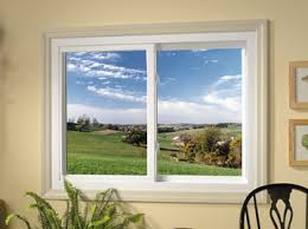 Double hung windows are the very definition of the classic window style. 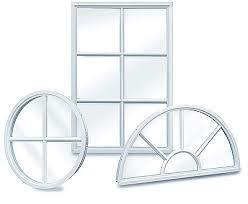 Double hung windows are complex in design. 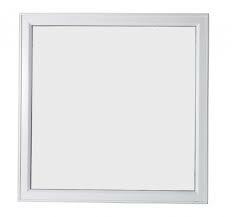 These windows consist of two slightly overlapping parts that slide up and down within the frame. Style and size can vary from one part to the next for greater design options and selections for homeowners. 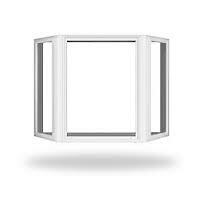 They are custom sized to fit virtually any opening. Available Wood or Vinyl. 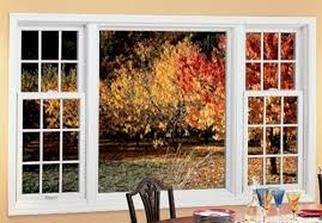 Double hung windows are well-suited and attractive in practically any interior setting. No extra interior or exterior space is needed to open and close these windows, making them an excellent choice for small rooms and tight spaces next to patios doors and walkways. 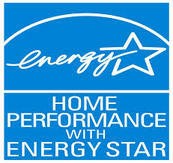 They are frequently used in bedrooms, bathrooms and other spaces throughout the home. 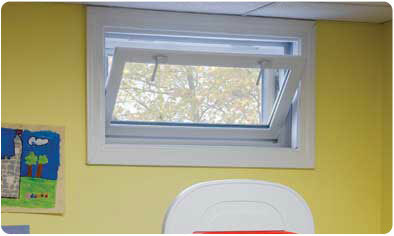 Casement windows are side-hinged, and practically reach out and catch the breeze. 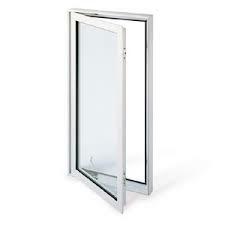 Casement windows open out with a hand crank or simply push open. 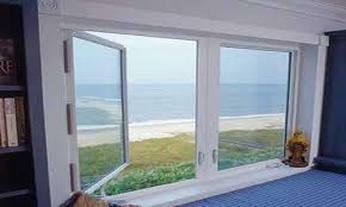 Window screens are placed on the inside, protected from the elements. 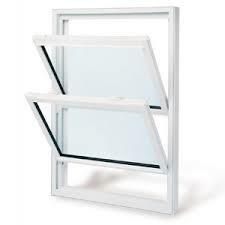 Casement windows resemble narrow picture windows, in that they do not have a rail that obstructs the view like sliding or double-hung windows. 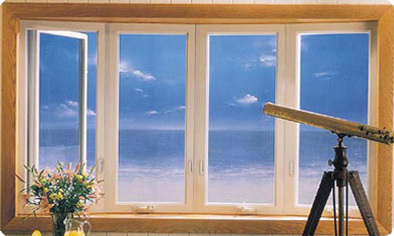 Casement windows are elegant, yet make a bold statement for any room. Bay and bow windows are architectural accents in many ways, dramatically extending from a home and bringing attention to exterior walls as a point of interest. Bay and bow windows enhance the style and interior beauty of a room by allowing more sunlight to filter through, and infuse a sense of spaciousness. 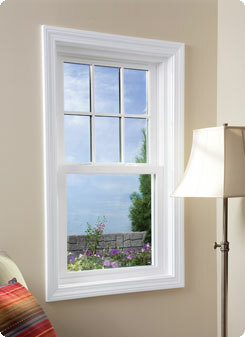 The view from bay and bow windows is accentuated by bringing to focus three or more distinct planes or vantage points. 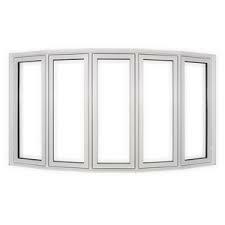 The differences between bay and bow windows are that bay windows have a minimum of three windows, while bow windows have four or more windows of equal angles for a smoother curve. 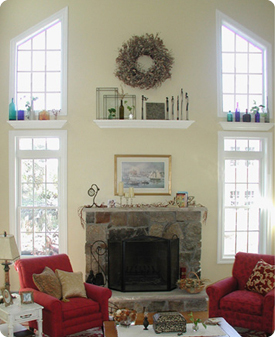 Whether you want to make a cozy three-dimensional book nook with a bay window, or enjoy a more elegant setting with the graceful curve of a bow window, these windows inspire many imaginative window space, interior- and exterior-design solutions. 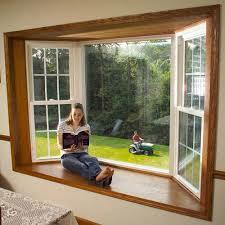 Garden windows delight the senses and brighten a room with sunlight, aroma and decor. Transform any room and space in the home into a garden window greenhouse, and enjoy a little serenity for yourself, or perhaps provide a fun and educational activity for the family, and garden windows always make an interesting and beautiful conversation piece season after season. 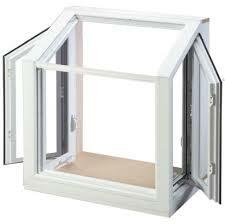 By design, garden windows act as small greenhouses with ventilation and shelving for plants, herbs and flowers. 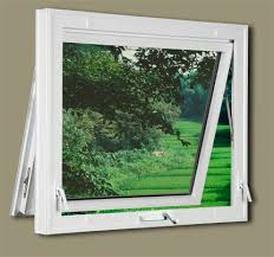 Garden windows extend slightly out from the house, so there should be adequate room for any exterior features and activities, such as walkways or patios. An architectural window is a multi-dimensional element of home design that impels the observer to look through it to see the beauty within it. 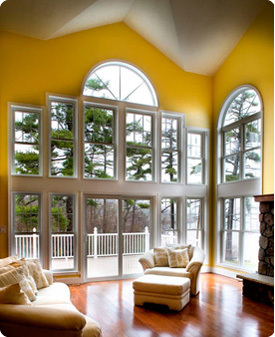 Custom-designed architectural windows give homeowners the opportunity to develop custom window openings that are expressions of their own creativeness, personality and focus. The challenge for the homeowner is to create windows that are aesthetically pleasing for interior and exterior design, harmonizing with interior tones and charming and complementing exterior cladding and distinctive doors. 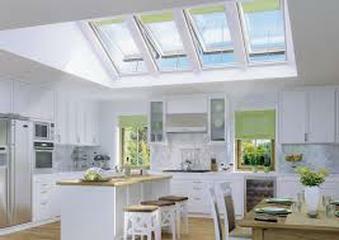 Skylights are windows installed in roofs that invite beautiful natural light to stream into the home. Skylights imbue sophistication and beauty to any living space, and provide homeowners “green” lighting and solar heating. Enjoy a spectacular viewing of brilliant clouds, lightning flashes and watch the stars and moon move across the sky on a clear night from your own private viewing arena. Skylights offer a plethora of shapes and sizes to enlighten and delight residents and visitors. A skylight system may be a single window, or a series of windows in spectacular patterns, shapes and designs. While skylights are beautiful window additions for any home, the advantages and disadvantages should be explored before including skylights in new home construction or home-improvement projects. 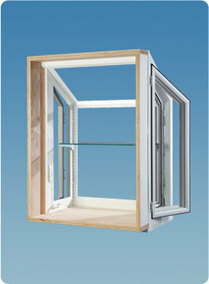 Need Help Choosing a Window?